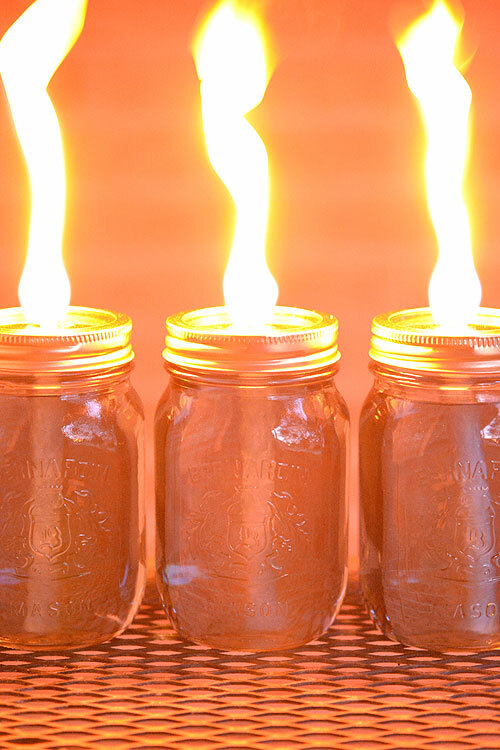 These mason jar citronella candles were a really fun project. They didn’t quite turn out how I expected though. I had visions of a small beautiful flame, glowing on top of the patio table. The flames were actually quite a bit larger than I expected but they worked REALLY well to keep the bugs away! My four year old was having trouble sleeping last night, so we let her come onto the front porch to watch us light these lanterns so we could test them out. Don’t worry. We made her stand on the other side of the porch and we set out our fire extinguisher nearby, just in case. I’ve never worked with citronella oil, so I was a little paranoid. But they worked really well even with the big beautiful flames, so we had no issues. We lit up the wicks and WHOOSH! We had 10″ flames. haha OOPS! A couple times my daughter said “Mommy, are you going to burn the house down?” and “Mommy, are the fire fighters going to come?” LOL But let me tell you, with those flames, there wasn’t a bug in sight!! And the flames lit up the porch with a beautiful candlelit (maybe torch is a better word?) glow. Read on and I’ll let you know what you’ll need to do differently to avoid having those giant flames! 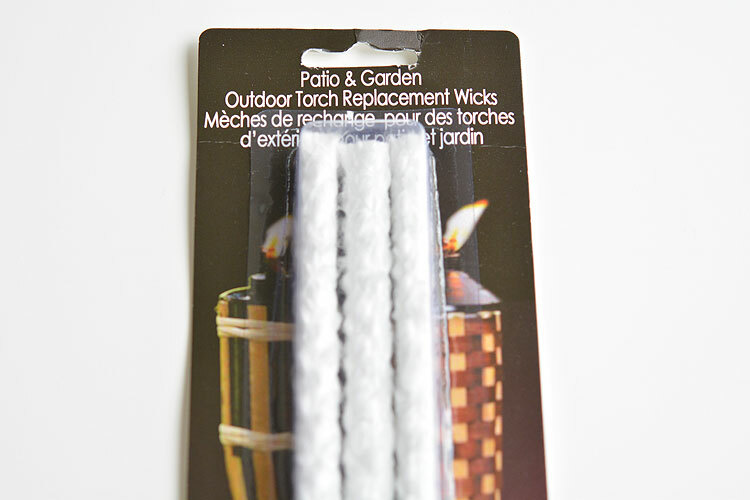 The only other wicks I could find are these patio torch wicks. They weren’t covered in wax, which was great, but they were really thick. If I could have found wicks like this, but only half the size, it would have been perfect! 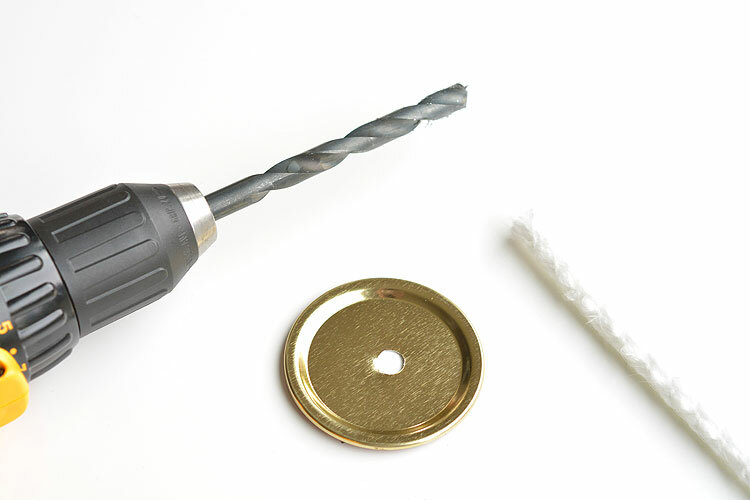 I started by poking a starter hole in the bottom of the mason jar lid with a hammer and a nail. This hole just made it easier to guide the drill bit. I pinched the wick together and squeezed it through the hole in the lid. You need to make sure it’s a snug fit. 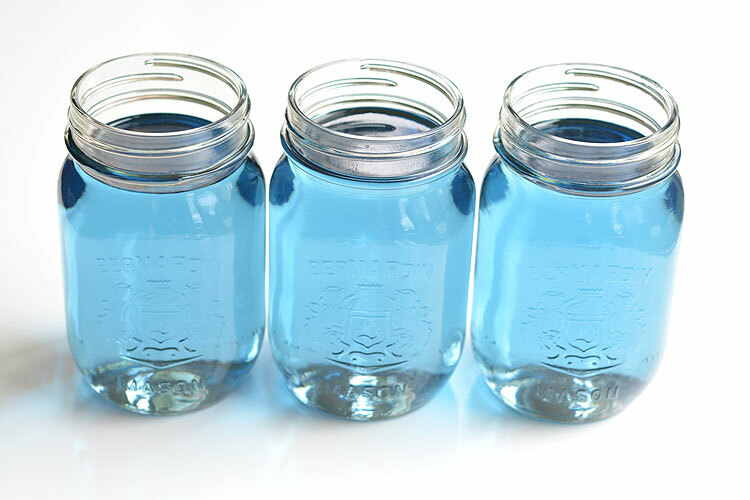 Then I filled the clear mason jars with the citronella oil. How wonderful that it has a beautiful blue tint to it! It looked beautiful in the glass jars! And screwed on the mason jar lid and they were done! Easy peasy! 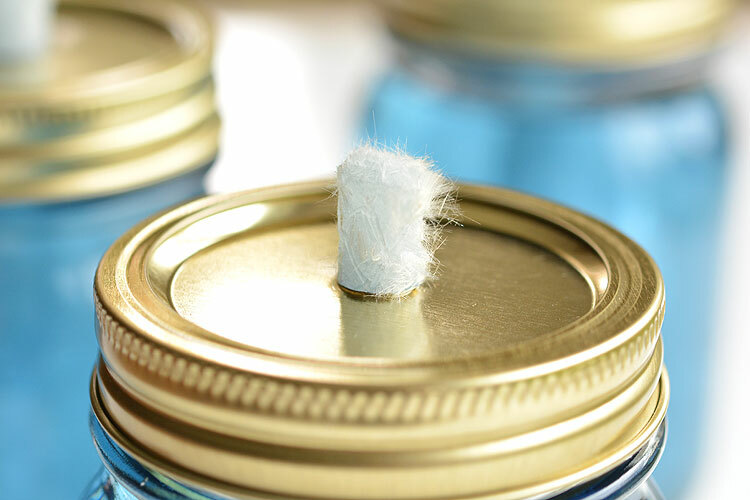 Besides having a smaller wick, I would recommend only pulling the wick about 1/4″ above the lid, or even less than that. 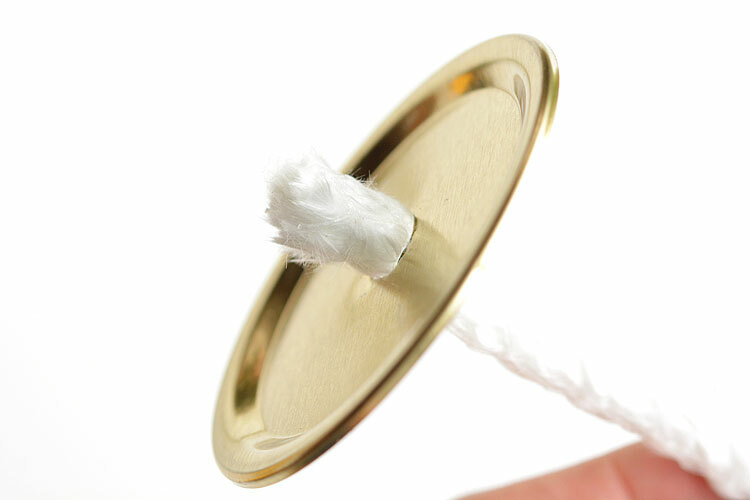 You can always pull out more if you need to. I had about 1/2″ of wick above the top of the lid which gave it LOTS of fuel to burn. Not bad right? Beautiful flame, with lots of citronella smoke to keep away those pesky mosquitoes. We took these on the back patio two nights in a row, lounging around after the kids went to bed, and they were fantastic! They kept the bugs away and they lit up the patio with a beautiful glow. This next photo shows a bit of a flaming rage of what happens when you make them exactly how I made them. 1. The wicks were too long. And 2. The wicks were too thick. On the bright side, by the end of the second night of burning these, the flames had gone down to a much more manageable 3″ height. So seriously, be careful if you decide to make these, and make sure you don’t put them somewhere where they’ll get knocked over. As they were burning, we realized we had no idea how we were going to put out the flames. At one point, my husband blew out one of the flames, but a minute or two later, it started burning again on it’s own. I’m not sure if it was the wind or the burning candle next to it, but we quickly realized we couldn’t just blow them out and leave them. After we put them out, we put small glass bowls over top, about the same size as the mason jar, so no oxygen could get in. And again, because we’re slightly paranoid, we put them in the barbecue for safe keeping. Not sure if that was smart or not, but we didn’t want them in the house, and we couldn’t think of anywhere better where animals wouldn’t be able to accidentally knock them over. After two nights of burning them for a total of about 2 hours, we had used up maybe 1″ of fuel from each lantern. 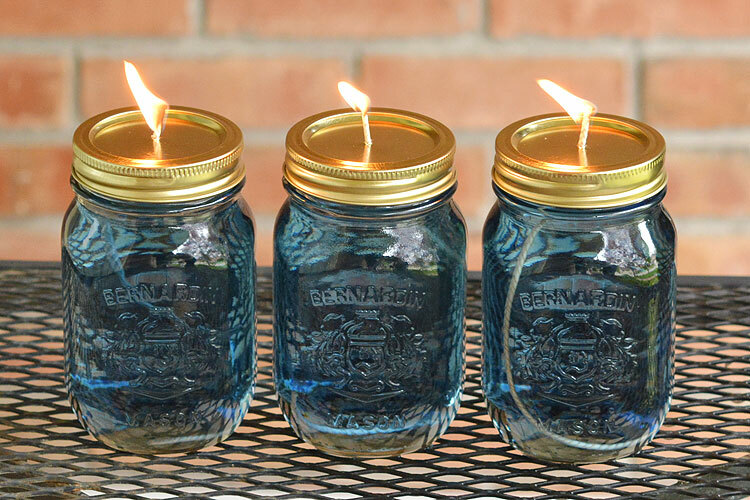 So I would say they’ll probably burn for about 10 hours or so before you need to refill the mason jars with citronella oil. 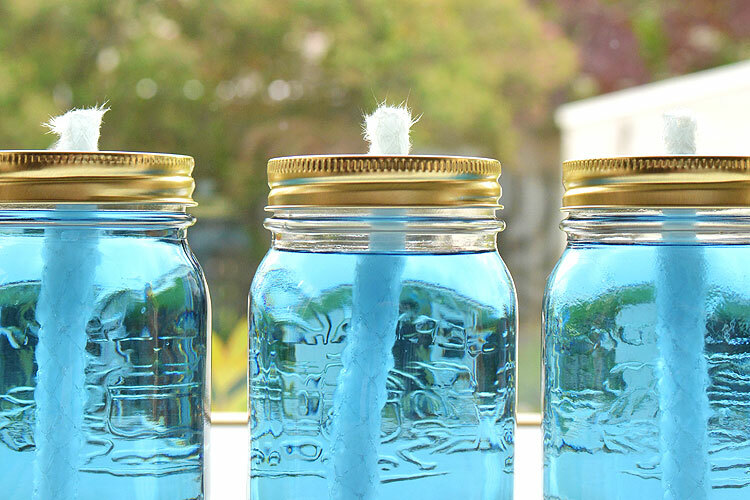 These mason jar citronella candles are really easy to make and they really are beautiful! Just make sure you’re really careful if you make them at home. Don’t make the same mistakes I did and make sure you’ve thought through how you’re going to put them out at the end of the evening. 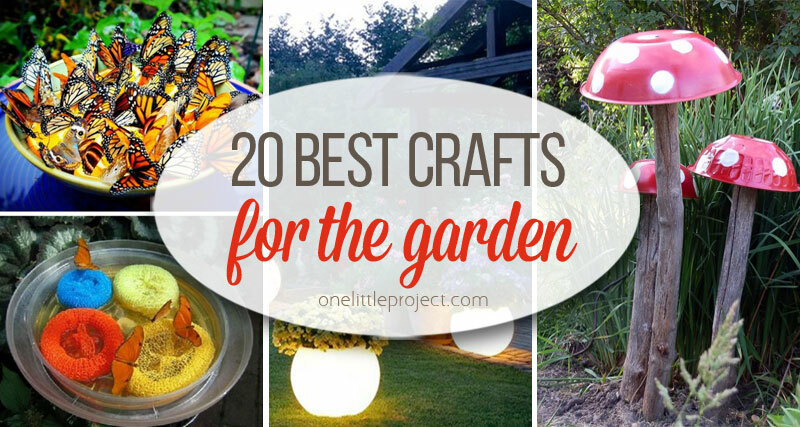 We’ll definitely be using these lanterns on hot summer evenings to keep the mosquitoes away! Even though that giant flame wasn’t what I was expecting, this project was LOTS OF FUN and a perfect way to keep away mosquitoes. 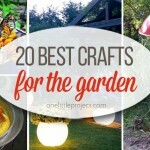 What a great idea to stave off those summer pests! Been planning on making these for months now! I’m stuck on whether I want to use some old empty wine bottles though or grab out of my stash of old mason jars, can’t decide, might have to do both! Saving this to my Handy Tips pinterest board so I don’t lose it! Wow, thanks for sharing what you found out about the wick choices. 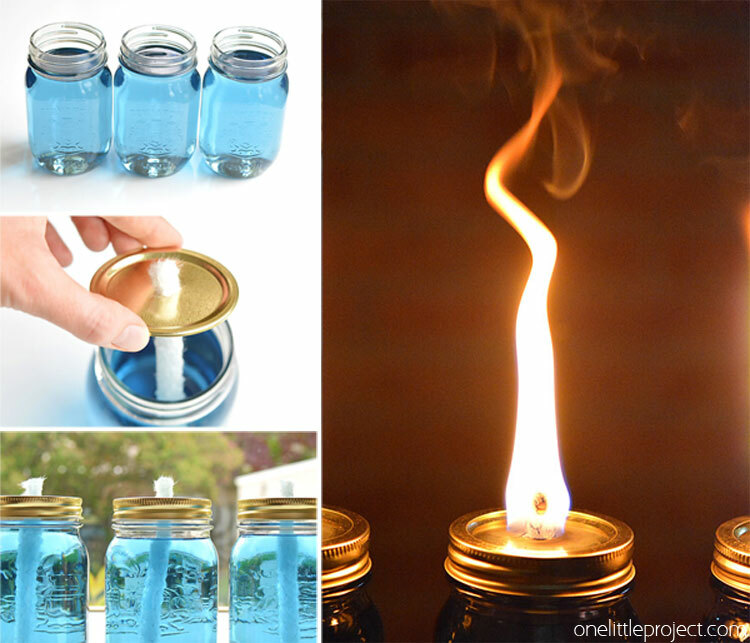 I’ve always wanted to try these, I’m wondering if a wick for an oil lantern would work better? Hmmm… I’m not familiar with oil lantern wicks, so I can’t really say? It might be one of those trial and error things? But there’s got to be a better wick than what I used. 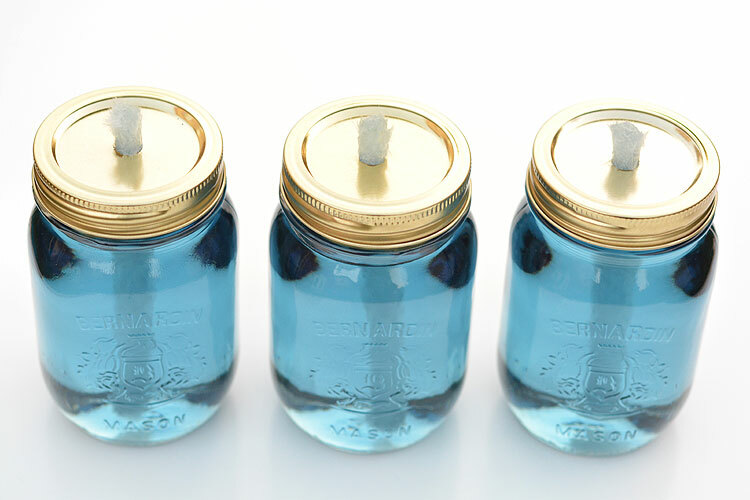 Kerosene lamp wicks, which are uncoated, come in both the flat and round versions. I’ve seen the round as small as 1/8″, where your tiki torch wick looks to be 1/2″. I know when I go to purchase these they are expensive. I can’t wait to try this DIY. Thanks for sharing at the Inspiration Spotlight party. Have a great week ahead. Pinned & shared. These are fantastic! Featuring them when my party opens up tonight! SO clever but whoa on the flame! 🙂 I’ll need to check this out – thanks for sharing! 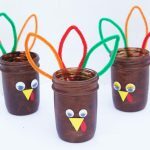 These seem really simple to make and so cute! As I was reading I was wondering how you were going to put them out.. Our big tiki torches have a metal lid.. Does the metal lid not burn? You did a fantastic job! Thanks for sharing! 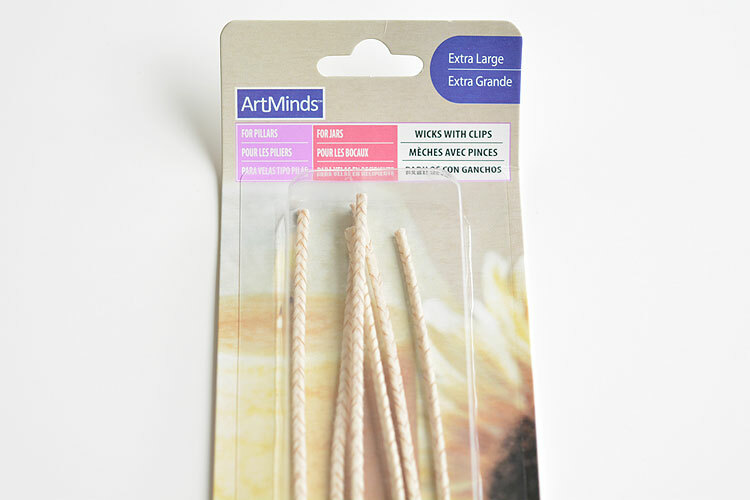 For your wick, use older style cotton blind cord. About 3/16″ diameter. How much of the oil and the fuel did you use? This might control the burn. Just a suggestion you might want to try. I went to Lowe’s, plumbing dept. and purchased copper couplings (I think they were called couplings) one end was 3/4 in. and the other end was 1/4″. I used a kerosene lantern wick and fed them through the copper fitting. 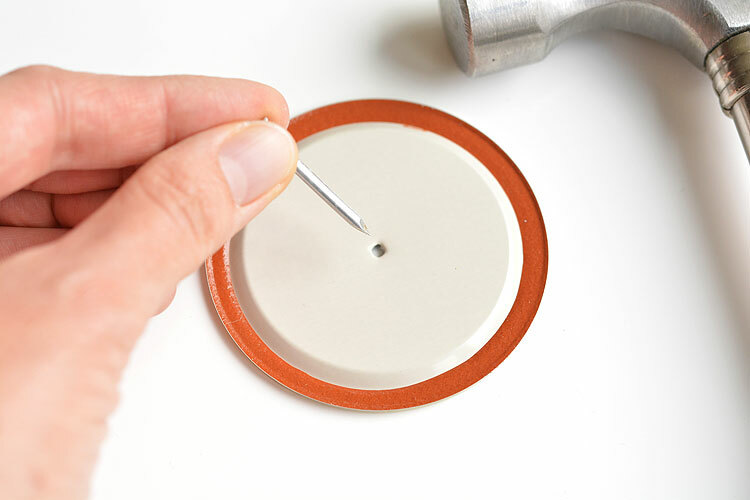 This fitting is inserted into the drilled hole. 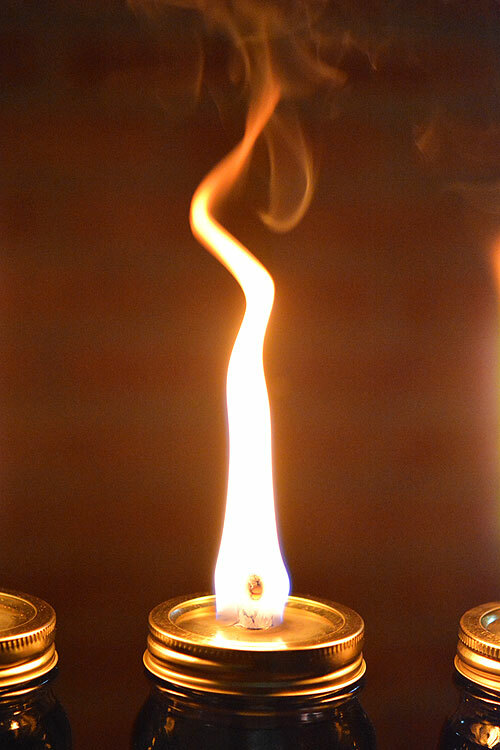 Make sure the wick has had a chance to completely saturate before lighting. I found that these particular wicks are not wax coated. I hope this information is helpful. This is so smart! Beautiful and practical. 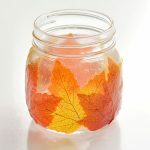 Next summer I’ll definitely have to whip me up a batch of these. Has anyone had citronella help keep away flies? I don’t know if citronella will but I do know that sterno’s do a great job! LOVE this idea! string mop head…just brilliant! Did you ever have an issue with the jar filling with smoke and it making a popping noise and the flame went out? I just made these last night and the first one I lit last night was fine for a few hours. I lit that and another today and they filled with smoke and went out. Not a critique, just my honest evaluation – I’ve made 3 of these. The tiki torch fuel I bought at Walmart was clear, so no pretty blue color. Not sure how to determine the color before purchase, as the container is opaque. Maybe someone could post a link for a source? They work as the application is intended, but the metal lids get hot, and the rubber lid sealer melts, so the lid is stuck to the jar of the first one I made. 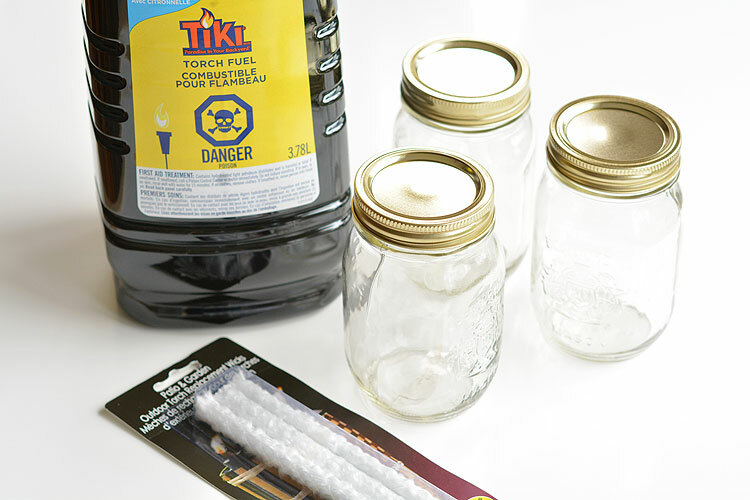 Considering the cost of the jars, lids, and wicks, the $2.50 tiki torch from Walmart, while definitely not as attractive, is definitely the more cost-efficient, and ease-of-use option. So if appearance is the ultimate deciding factor, be prepared to deal with everything I’ve mentioned. I used jam jars and wicks I got at Hobby Lobby. 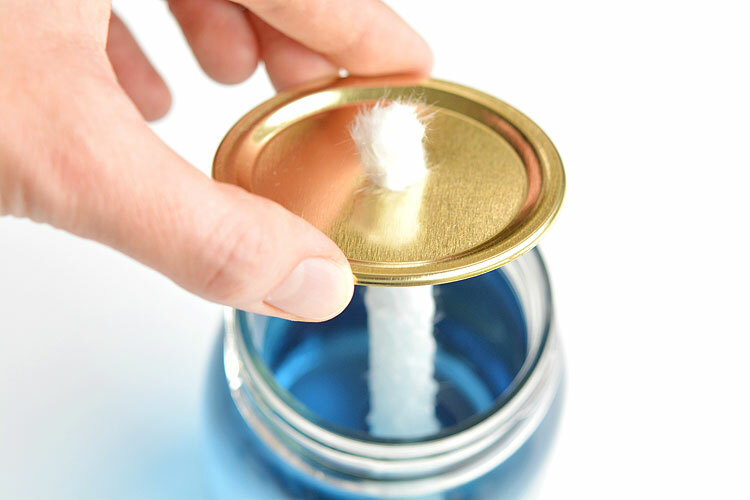 I used a nail to punch a hole in the lid (thru the bottom side so the wick can’t fall thru). 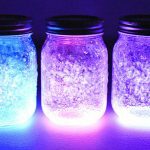 I didn’t want to use huge mason jars for my patio so I have four small jam jars that give off a nice glow. I’m also using the blue Tiki fluid. In all I’m disappointed. I believe it’s because the tiki fluid is “citronella cented” and doesnt have real citronella oil. Secondly, the lids I have are the two piece type that have that rubber seal. It melts and makes it difficult to open to refill, so make sure to get the single piece lid. I’m hoping to find someway to use real oil for them to be more effective because the mosquitos are killer in my back yard. Good luck! I just made one for this weekend at Ravinia in Chicago/Highland Park and it worked like a charm. To combat the rubber lid seal melting we added copper coupling in the hole where the wick would go before we put in the wick and were able to remove the lid and place a lid without a hole for transport there and back home with no issues, so you may find that helps. As for the torch fuel could you maybe add some drops of essential oil citronella? Where did you get the BLUE citronella?